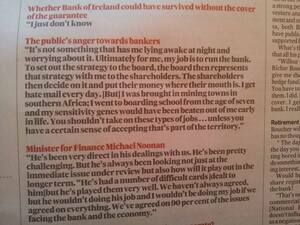 Bank of Ireland CEO Richie Boucher. They beat the sensitivity out of him. Posted in Misc and tagged Richie Boucher at 4:01 pm on January 10, 2014 by Broadsheet.